Blue Moon Cottages is a preferred accommodation provider to Peninsula Hot Springs, so when you purchase passes through us you don’t need to book. 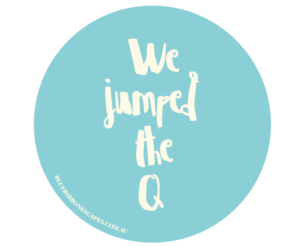 Your ‘Priority Entry’ Passes come packaged in the cutest Jump the Q tote, ‘Thank You’ water and white thongs to flip flop your way around the over 20 mineral springs experiences. Packs are only available for guests of Blue Moon Cottages. You can add these on at the time of booking or by arrangement by calling us on 0468 395 085.